The fact that a “Mobile World Congress” will soon convene in Barcelona, Spain, probably doesn’t interest very many Americans. And yet what will be going on there could affect something that nearly everyone has a great deal of interest in: our smartphones. Specifically, their future. Right now, the best connection speed that most people have is 4G. But 4G was an upgrade from 3G, and now the next-generation speed is just around the corner: 5G, which will dominate discussions at the Barcelona conference. Everyone is interested in getting even faster Internet – and not just in the U.S. So what’s the problem in Barcelona, as far as U.S. officials are concerned? It’s the fact that many European countries are closer than we are in launching 5G networks. That makes them interested in what a company called Huawei Technologies has to offer. As you can probably glean from the name, Huawei is a Chinese company. And that has U.S. officials worried. 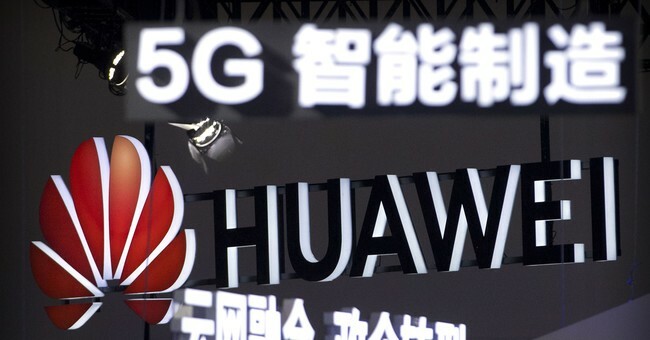 The message they’re carrying to Barcelona for Huawei’s global customers is simple: Huawei, the world’s largest provider of telecom gear, could be forced by Beijing to spy on or disable their networks. In a sign of how seriously the administration is treating this, Secretary of State Mike Pompeo has a warning for Huawei’s potential customers: Governments that use the company for critical infrastructure might wind up excluded from information-sharing with the U.S.
“There’s a risk where we won’t be able to co-locate American resources, an American embassy or an American military outpost,” Pompeo told Fox Business Network. Warnings like that, however, usually are not met with very positive receptions from other governments. They don’t like being told what to do any more than we do. And let’s face it – even if they did, they aren’t enough. We need to do more. “The U.S. needs a positive alternative to the Chinese model,” Gingrich says. We can’t compete on the same terms as a state-directed economy can. Nor would we want to. Gingrich recommends we move quickly on a public-private partnership that would make shared spectrum available for a carrier-neutral, wholesale-only, nationwide 5G network in the next two to three years. “This could be a kind of wireless moonshot (but with private capital) that will spur microelectronics manufacturing here at home, accelerate the deployment of next-generation networks, and show the world that Chinese wireless dominance is not inevitable,” he adds. Another leader not content to let the microchips fall where they may is Sen. Marco Rubio of Florida. His latest report – “Made in China 2025 and the Future of American Industry” – goes beyond the fight over 5G to address changes in the 21st century economy that have left workers reeling. Labor markets have been disrupted, and China’s record of industrial espionage is making things worse. It certainly does. And, just as with our smartphones, speed is of the essence.